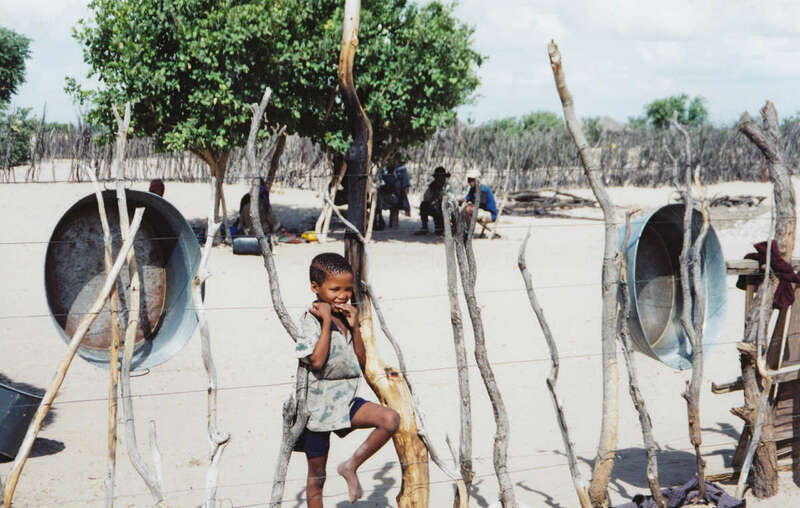 Twenty years ago today, hundreds of Bushmen were ordered to abandon their homes deep in Botswana’s Central Kalahari Game Reserve (CKGR). This was the first in a wave of evictions by the government, determined to open up their ancestral homes to diamond mining and tourism. The Bushmen of Xade community were given no warning and were ordered to leave their homes immediately. They were herded onto trucks and those who refused to go were told they would be shot by the army. Along with force, underhand tactics were employed: some Bushman children and their teachers were moved earlier, forcing anxious parents to follow them to the eviction camp, New Xade, which they soon dubbed “the Place of Death”. Life here, as witnessed by Survival campaigners and much of the world’s media, was bleak. Bushmen were housed in tents like refugees and were totally reliant on handouts from the government. 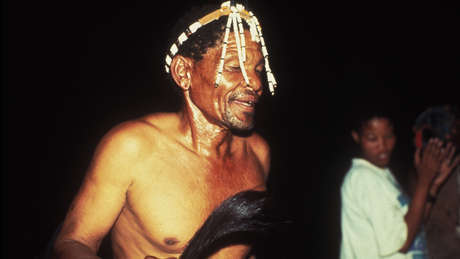 Many succumbed to HIV/AIDS and alcoholism introduced by outsiders, who flocked to the camp to profit from the Bushmen’s meager compensation money. From resilient hunters and gatherers with a strong sense of independence and identity, the Bushmen were reduced to a life of boredom, depression and hopelessness which continues to this day. For many observers, the government’s inhumane treatment of Botswana’s first people echoed neighboring South Africa’s apartheid regime, where black communities were systemically evicted from their homes and dumped into crowded slums on the outskirts of the cities. This was the latest chapter in centuries of persecution of southern Africa’s Bushman peoples by white colonists and Bantu peoples. 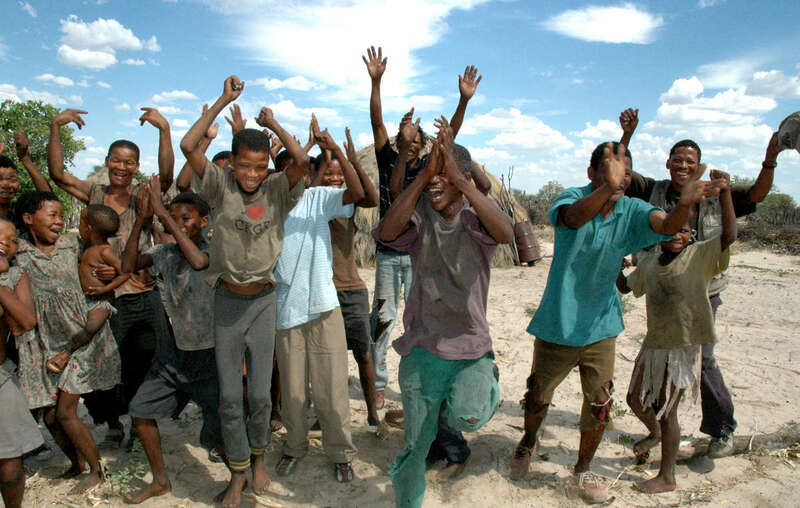 Bushmen celebrate the landmark court ruling in 2006. More than a decade on, many still languish in govenrment camps. Twenty years on, however, there have been some positive changes. Bushmen evicted from the reserve in 2002 won a landmark case with support from Survival International in 2006 in Botswana’s high court. The court ruled that they had been illegally evicted and had the right to live and hunt in the reserve. Today, hundreds of Bushmen have left the hated eviction camps and returned home. However, they continue to face harassment, beatings, and torture by wildlife scouts when they exercise their legal right to hunt. Families are still being broken up, as the government says that only individuals who were applicants in the high court ruling are allowed to return to the CKGR. When their children turn 18, they have to get permits to visit their families in the reserve. This is causing enormous distress and hardship. Bushmen are worried that their land may be opened up to more exploration without their consent. Although the diamond mine in the Bushman community of Gope in the reserve has been scaled back recently, last month the government gave new diamond prospecting licenses to a joint Russian-British mining venture. In the last few years, the government has also given out fracking licenses in the CKGR. Survival is continuing to campaign for the rights of the Bushmen, having launched a global push in 2016, to coincide with the country’s fiftieth anniversary.